Copyright Information | Mommy, I Feel Funny! Reproduction in whole or in part of the material, images, artwork or design, in any form or medium without express written consent of Danielle M. Rocheford or The Green Swing Companies®, is prohibited. Unauthorized use of any image or content from within this website is strictly forbidden. If you are interested in using images from this site please contact Danielle M. Rocheford. You may link to this site without permission. 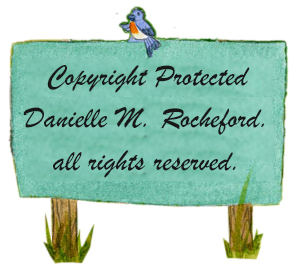 Story and artwork are copyright protected by Danielle M. Rocheford.